Frenkie de Jong is among the most sought-after young players in Europe and his father says Barcelona are his best option. Barcelona will be the best option for in-demand Ajax star Frenkie de Jong, according to the midfielder's father. The 21-year-old is one of Europe's most highly rated young midfielders having impressed with Ajax over the last few years. He broke into the Ajax first team last season after previously catching the eye for the club's second string in 2016-17, and he has continued to progress, becoming a full Netherlands international this year. De Jong has been particularly outstanding in his country's Nations League campaign and he produced an exceptionally mature performance against world champions France in a 2-0 win last month. Paris Saint-Germain and Manchester City have been strongly linked with a swoop, but Barca have seemingly moved ahead in the race to sign him. 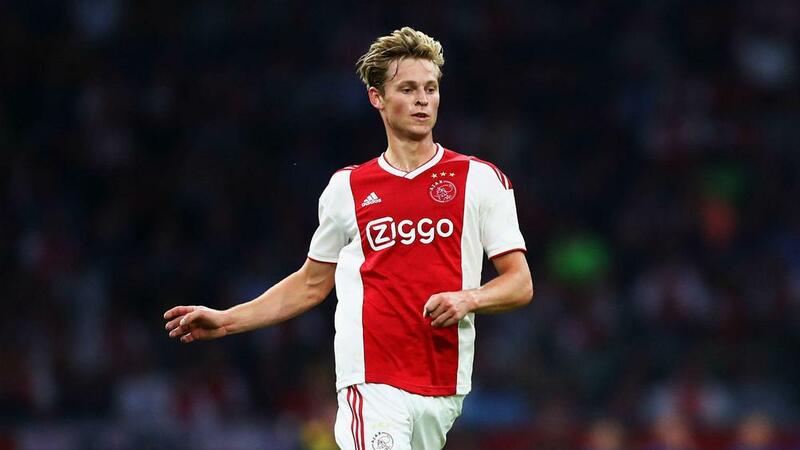 "There's a 95 per cent chance he leaves Ajax [at the end of the season] and [joining] Barcelona would be the best decision," De Jong's father told VoetbalPremium. "He has to decide. He's a clever kid and will make his decision [towards the end of the season]."